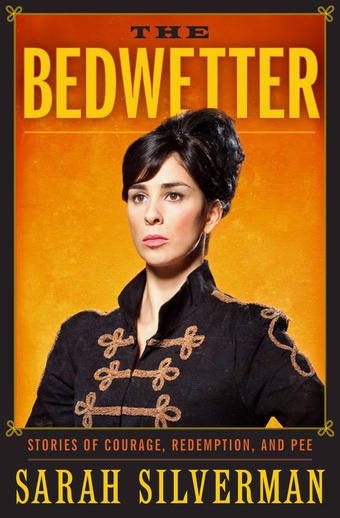 This entry was posted in Book Reviews, Celebrities, Humor and tagged sarah silverman, the bedwetter. Bookmark the permalink. I think on her own she can be funny, but put her in a movie and she’s suddenly, always the bitchy girlfriend/female lead’s bitchy best friend. :P I’m thinking of “School of Rock” in particular, but pretty much any movie with her in it. …I do love her “I’m F***ing Matt Damon!” video. She mentioned in her book about how the only roles female comedians, including herself, can usually get are the bitchy girl parts. I don’t think I’ve actually seen any movies with her in them, though. She usually gets parts in comedy movies that are independent and/or made by other stand-up comedians and film comedians with stand-up or sketch comedy backgrounds. A lot of her movies have been with members of SNL and Second City (a Chicagoan improv/sketch comedy troupe with rotating cast members that churns out most of the SNL cast, even from the show’s beginnings).